Millennials are entering the market every day and have completely different set of expectations as buyers. They are the largest consumer group, having been born and brought up in the world of smartphones. Having minimal attention spans, they prefer chatting over phone calls and SMSing over emails. It has also been observed that the open rates of unsolicited emails are going down constantly while engagement rates over messages is burgeoning rapidly. Businesses have a great chance to jump on this messaging bandwagon and converse with customers personally via chat. If enterprises lose out on providing customer service through these messaging platforms, customers would possibly opt for another provider who is servicing them personally through chat messengers. 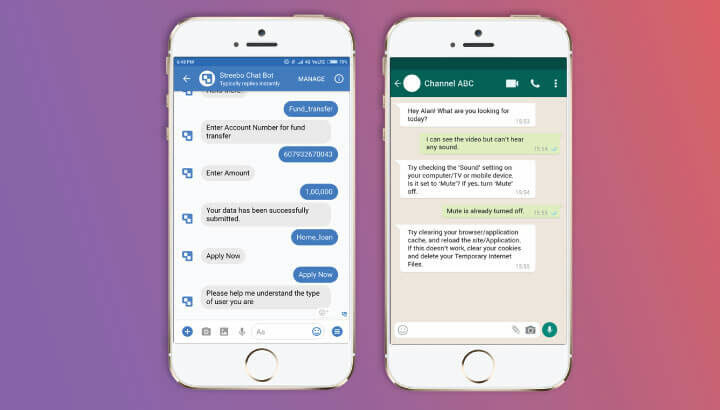 These chat platforms ensure that customers do not have to go to another channel for resolving their grievances or buying a new product, as they can now directly get response from a business when and how they want it. Out of all chat platforms, Facebook Messenger and WhatsApp are emerging as leading channels for enterprises to engage with customers. These channels definitely present more engagement possibilities and have higher open rates as customers are spending a lot more time on these channels. Many small and medium sized enterprises (~300,000) have already rolled out bots on Facebook messenger since 2016, however now is the time for large enterprises to embrace this chatbot phenomenon. With over 1.3 billion monthly users, WhatsApp is also emerging as a leading channel for conversations and enterprises are also looking to lean on this new age communication channel for B2B conversations. Facebook has already opened its Messenger platform for business to communicate with customers. WhatsApp Business Accounts is a new service started by WhatsApp for enterprises to communicate with customers. On these platforms, customers have an option to opt-in to business messages. This remains a utility-focused mode of communication for millennials. Enterprises can remain highly relevant and gain customer loyalty through prompt updates and instant customer service on these channels. E-commerce companies can update customers on delivery dates while travel businesses can share timings and booking details seamlessly on chat. Businesses can build trust by reaching customers whenever they seek information rather than mindlessly bombarding them with mails and SMSs. Moreover, this channel would act as an easy platform for users to find new product information, thus helping businesses with upsell and cross-sell opportunities. This doesn’t mean that the enterprises should build bots only for Facebook and WhatsApp alone. They should also build bots on their existing web and mobile properties and leverage these cross-platform applications to reach the customer anytime, anywhere. Why should enterprises rely on AI Bots over Customer Service Agents? Customers today expect intelligent responses to their queries. Many enterprises are still using humans or basic bots to provide updates on WhatsApp and Facebook. Once a customer enters his query, there is a human at the other end who responds to these queries. The costs involved with answering customer queries, time spent in finding the correct response is way higher as compared to using a bot for answering repetitive questions. 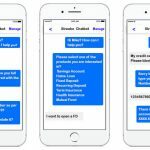 A smart, AI-powered bot can solve customer queries via chat easily without requiring any human intervention. In case the bot can’t respond, then the query would be automatically passed to a human agent for resolution. Thus, the chatbots should be powered by intelligent Natural Language Processing (NLP) engines that can interpret the customer query accurately and give appropriate responses. Adding virtual assistants to WhatsApp or Facebook messenger is very new, untested and quite risky. These chatbots must pull data from enterprise backends and share this data on a 3rd party channel, so there are greater security risks involved for enterprise-level data. 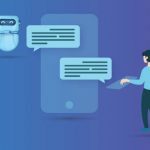 Moreover, the chatbot building platform should help enterprises build frictionless chatbots across platforms, thus answering customer queries on the channel of their choice. Additionally, the quality of the NLP is very important to ensure that the chatbot answers customer queries accurately. 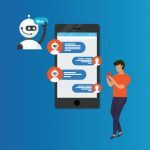 With a view to address the issues listed above, Streebo has developed a highly secure and scalable chatbot builder powered by industry leading NLP – IBM Watson Assistant. Using a drag and drop chatbot builder, you can easily surface customer information on the channel of your choice with point and click integration to your enterprise backends. This chatbot builder platform can help you surface enterprise grade, highly secure chatbots on WhatsApp and Facebook Messenger.